After a long day of top notch educational programming, an exhausting session of speed networking, and countless hours spent in coversations with new friends and old, you’re going to want to kick back and relax with a little food, a little beverage and a gorgeous view. 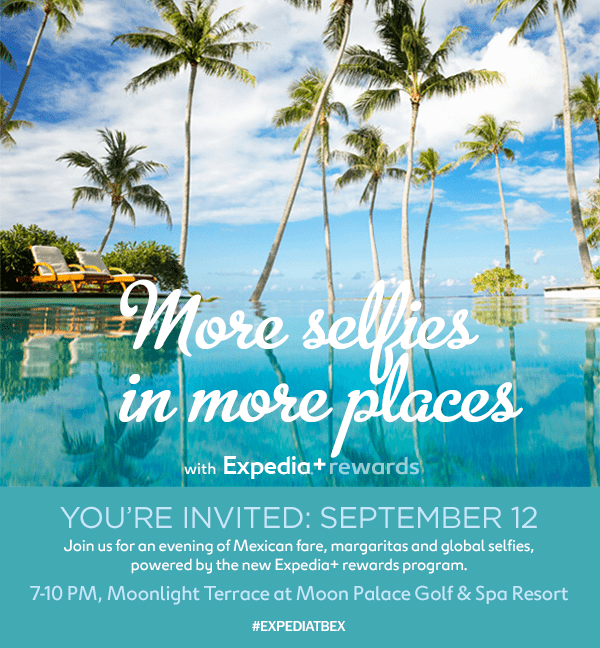 We enthusiastically present More Selfies in More Places, our Friday evening party at TBEX Cancun, hosted by our global partner Expedia. All registered TBEX attendes are invited to this Friday night fiesta. Please RSVP here.